Radio gives law firms a unique opportunity to reach large numbers of prospects while providing advanced targeting capabilities and reinforcing your marketing message. Done right, radio can help you increase results, maximize your marketing budget, improve your ROI and more. Radio reaches 93% of adults on a weekly basis, which is higher than any other media platform. Attracting a large number of potential clients is key to growing a law firm, and radio gives you an opportunity to deliver your message to thousands of listeners at a time. Your client base is diverse, and so are radio audiences. Ninety-five percent of Millennials are reached by radio each month, with that number increasing to 97% of Gen-Xers and 98% of Boomers. Additionally, Black and Hispanic consumers make up one-third of American radio listeners. In this way, radio allows you to reach people of all ages and backgrounds in a specific location. Radio maximizes frequency, allowing you to reinforce your marketing message to the same audience multiple times to drive action. At Zimmer, for example, we use a 21 52 advertising plan to ensure consistency and the minimum frequency of 3. This means your ad will run 21 times per week for 52 weeks a year - helping you make a lasting impression and win mental real estate with listeners. Radio DJs and personalities have fostered trust with their listeners. In fact, 52% of radio listeners stated their favorite personality influences their opinion, while 51% considered or purchased a product advertised during their favorite personality’s show. By leveraging radio endorsements or live reads, that trust can be transferred to your firm. And trust is an important factor in attracting legal clients. Alternatively, consider going on the air to answer legal questions during a segment, which can also help build credibility and keep your prospective clients interested. There’s a good chance that your legal marketing campaign includes more than one marketing channel. Fortunately, radio pairs well with other channels, including online search, social media and digital promotions. This allows you to further expand your reach, reinforce your message and maximize your marketing efforts. 1. Provide clear information so prospective clients can contact you. That means including your firm name, practice areas, location and how your firm can help solve their legal problem. 2. Hire radio talent for a live read. This is key in gaining trust and influence. You want to make sure the DJ is authentic in their delivery and doesn’t sound scripted. Using a good copywriter and conveying to the DJ what you need can make a huge difference. 3. Try a jingle. Jingles support top-of-mind awareness, increase recall and drive results. One of the great things about a jingle: if it’s catchy enough, people will start to sing it, which can help them remember your firm when they need an attorney. 4. Have a strong call-to-action, such as directing the listeners to a unique web page or a 1-800 number to contact your firm. Using radio is a tried-and-true solution to getting in front of thousands of listeners who may not otherwise know about your law firm or services. Incorporating radio into your legal marketing campaign can raise awareness and provide results beyond your expectations. 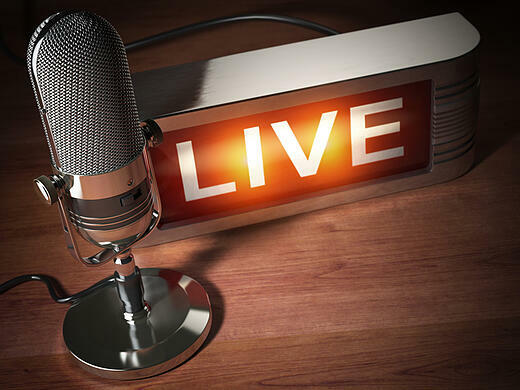 If you’re looking to enhance your legal practice and connect with the community, working with a trusted media partner to tap into the power of local radio can add a much needed boost in your campaigns.